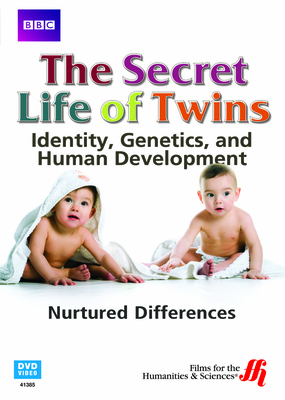 Take a look at the genetic and physiological makeup of identical twins and how each is affected differently according to the conditions each baby had in the uterus. This film explores the wonder of identical twins and why they are sometimes complete opposites after birth. Theories are explored about the conditions of a mother's womb and how it effects each child differently. Watch different sets of twins to see how one can be skinny and one obese or one can be gay and another straight. Watch a set of sisters that are aging at completely different rates. Learn about one twin that contracts leukemia, while the other twin is completely healthy. Ponder the reasoning that twins can have different outcomes due to different placement within their mother's body.